Heiderich is one of the European independent leaders in issues and crisis management. The firm gained its reputation thanks to its ability to anticipate the evolution of the public, to merge analysis data with the field and to its rapid response force in highly distressed crisis situations. 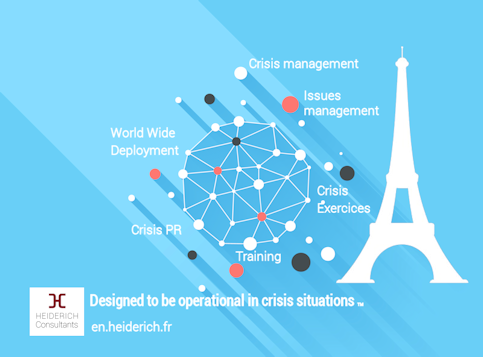 Based in France, Heiderich is leading international provider of crisis management, crisis PR and business continuity services, helping organisations protect their people, performance and reputation from the impact of major disruptions. We handle preparation, coaching, tutoring, media training, crisis simulation, we respond to real-life crises in complex, difficult and sensitive situations or when the audience is disapproving as well as in post-crisis image reconstruction. We respond as consultants in more than 50 ongoing crises in a year, from different marketing categories and in multiple countries. When we audit crisis management plans, or oversee its implementation, we base our work on our ongoing crisis experience. Planning in detail for responses to as many potential crises as possible. Establishing monitoring systems and practices to detect early warning signals of any foreseeable crisis. Establishing and training a crisis management team or selecting an external crisis management firm with a proven track record in your business area. Involving as many stakeholders as possible in all planning and action stages. 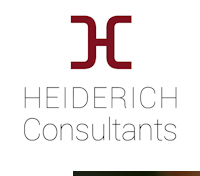 Heiderich is behind the methods of the crisis management plan implementations in heterogenic environments. We have also developed the Large-Scale Crisis Management System (LSCMS) approach of large-scale crisis management, along with predictive analysis methods developed by Deloitte. At the same time, in order to respond to auditing demands and prompt crisis management plan implementation, we have developed the Fast Crisis Response Management (FCRM) method. Natalie Maroun has more than 9 years of experience in crisis management and issues communication consultancy for French and international SME, market leaders, media, private and public institutions as well as international organizations. - Crisis management and communication, media training, geopolitics and post crisis/conflict reconstruction tutor at ENA, IHEDN, INHESJ and IRIS. Extreme situations specialist, the analyst Natalie Maroun handles complex issues regarding crisis and management and communication, in particular in highly distressed situations and in the political field. Natalie Maroun is the architect of the "Fast Crisis Response Management” technique used in crisis management, designed to the prompt developing of crisis management plans. She audits crisis management plans on a regular basis crisis such as the recently the plans of Synutra France, Lesaffre (World wide), Timac Agro Benelux, Air Liquide Benelux, Pâtisserie Gourmande, Hypred. Lastly, she responds to more than twenty crises per year, lately for multiple banks in terms of social crisis, image crisis and financial crisis. 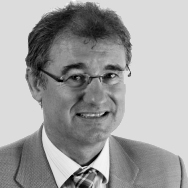 Didier Heiderich has 20 years of experience in crisis management and issues communication consultancy for French and international companies, market leaders, as well as for private, public and governmental institutions. He previously held managerial positions for more than 12 years in the international industrial sector and public administration. - International consultant and coach in crisis management, crisis and issues communication. - Crisis management tutor at ENA, IHEDN, IRIS and occasionally at INHESJ, ENSOSP and the University of Geneva. - Engineer at the Industrial Higher Education Center. Being a crisis management and crisis communication authority, Didier Heiderich responds in France and internationally to a global issues management, crisis organization, crisis management, strategies and issues communication. He has coached multiple organizations in the implementation or audit of their crisis management plan such as Caisse d’Epargne, Groupe Roullier, Air Liquide Benelux, Grand Lyon. Being the author of Plan de gestion de crise", Dunod (2010), Heiderich is one of the European references in crisis management. Lastly, he responds to more than twenty crises per year. Gilles Delanoë has more than 10 years of experience as a communication director at Bayer where he was in charge of the crisis unit and the implementation of the crisis management plan. - Consulting director in crisis management, issues communication and public affairs. - President of the communication commission of UIPP (Union des Industries de la Protection des Plantes) for 8 years. Being a specialist in issues communication and crisis management, Gilles Delanoë is both a strategist and a craftsman in crisis management. For more than 10 years dedicated to communication management and to the managing board of Bayer Cropscience, he improved the crisis management tools that he was in charge of. His position gave him a (360°) broad vision on crises, in their international, sensitive and political context, which is of considerable value for our clients. During his previous roles, he has managed multiple crises, one of which was “Gaucho” that had lasted for more than 10 years. Within the company, he takes part in the audit and the conception of crisis management plans, the definition of crisis communication strategies and (postures? ), developing crisis public relations and affairs, the implementation of “position paper” and sales pitches, coaching and media training for complicated situations. Since his joined HC in february 2014, he participated in the audit of multiple crisis management plans and guided our clients through multiple crises. With our partner Deloitte we provide full services in crisis management & crisis PR. - Our operations covered 18 countries during the last 4 years (France, Switzerland, Deutschland, The Netherlands, Luxembourg, Norway, Italy, Tunisia, Morocco, Lebanon, Senegal, Cameroon, Mali, China, Kazakhstan, Albania, Mexico, USA).